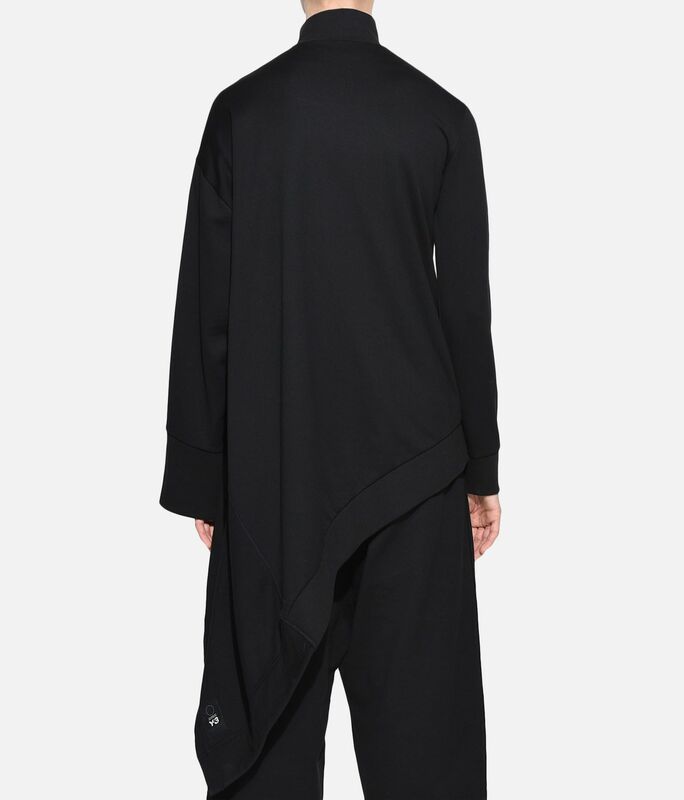 Considering new approaches to sport styles, Y-3 brings vivid imagination to the Tailed Track Jacket. 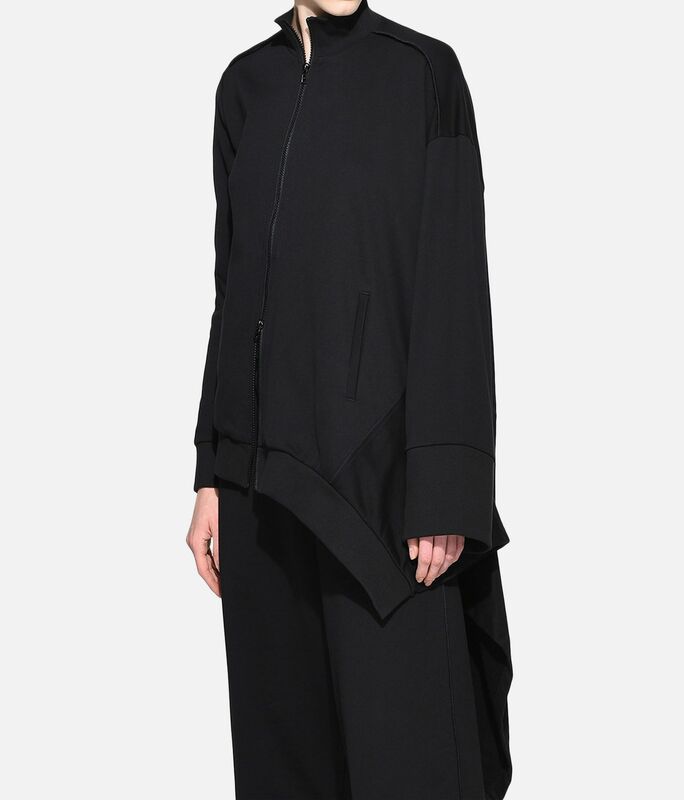 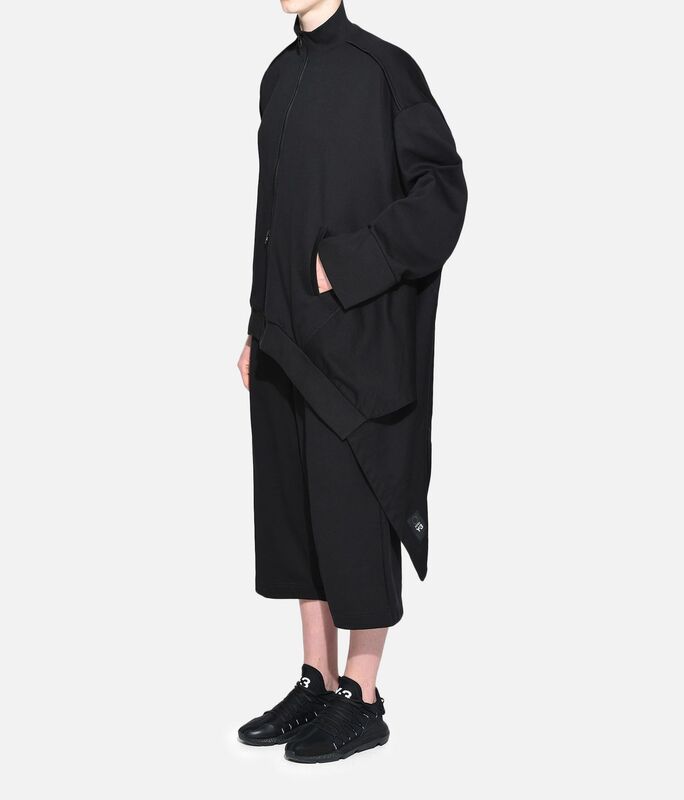 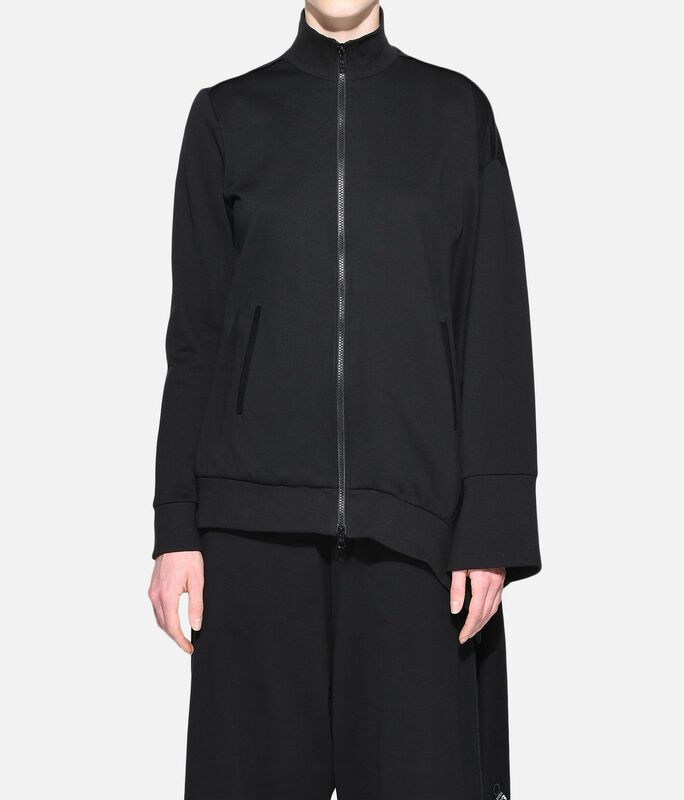 The short jacket has an asymmetrical hem detailed with alternating ribbed and smooth sections. 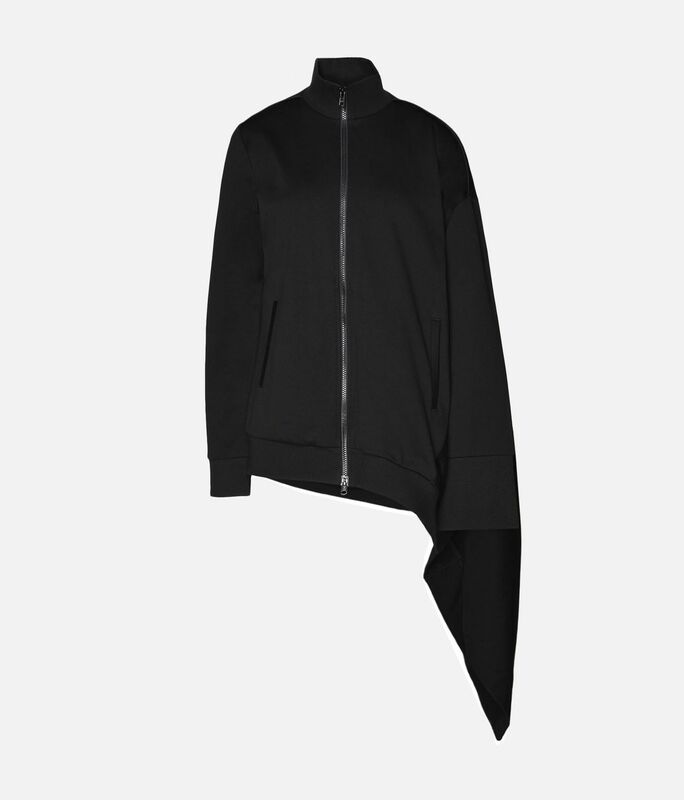 Crafted of French terry, the modern style has a high, ribbed stand-up collar to complete the look.